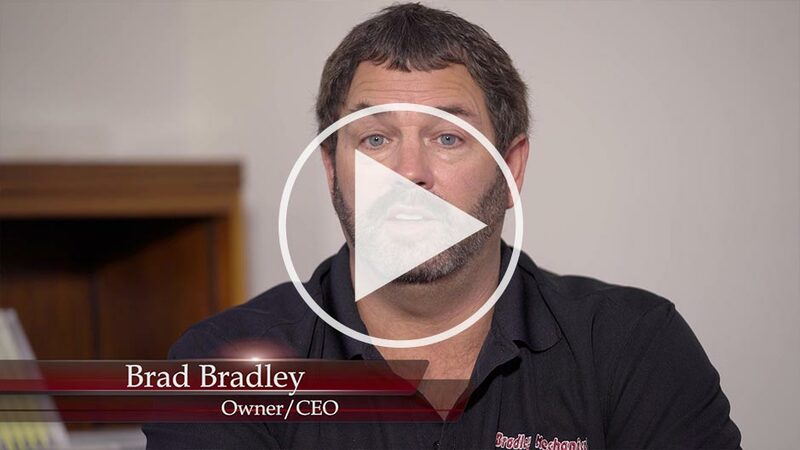 After almost 50 years of repairing air conditioning systems in the Richmond area, Bradley Mechanical knows what it takes to deliver a world-class repair experience – professionalism, expertise, and dedication to your satisfaction. It happens to everyone – your air conditioning breaks down on the hottest day of the summer and you don’t know what’s wrong with it. So, you call Bradley Mechanical to send out a certified air conditioning expert. 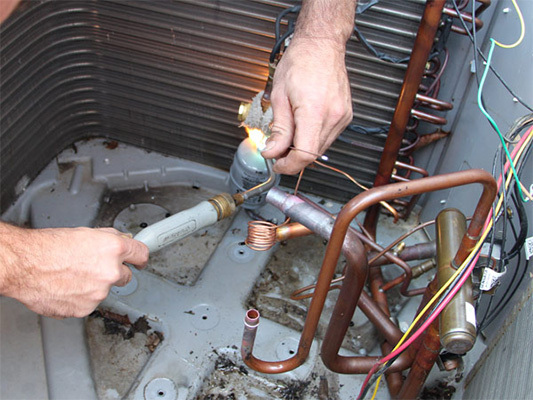 What can you expect from your AC service? Prompt arrival. Your repair technician will arrive within the scheduled service window. Inspection & diagnosis. 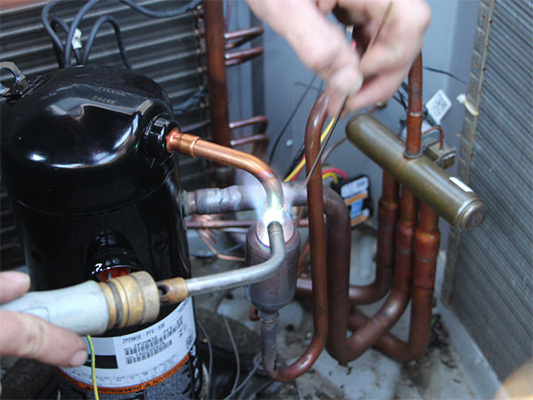 We’ll thoroughly inspect your air conditioning system and look at certain components such as your compressor, condenser coil and unit, fan, coolant line, blower, and more. 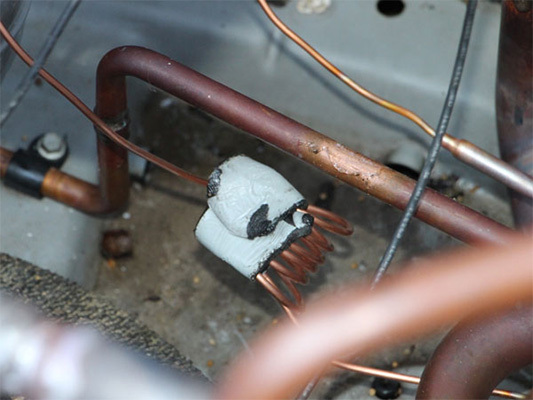 From here we can pinpoint the cause of your air conditioning failure. Checkup. Even after we’ve identified the issue, we’ll go ahead and keep checking the other components to make sure everything else is still in working order so we can prevent future problems. Explain the issue & provide information. 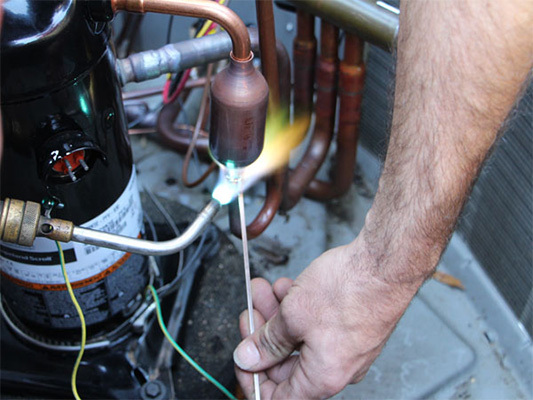 Our experienced AC service tech will clearly explain the issue as well as any potential risks that could arise. 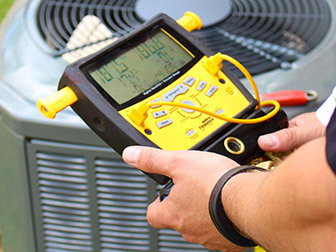 We do everything in our power to make sure you’re prepared, and provide you with the information you need to make an informed decision on whether to repair or replace your air conditioning. Quote a flat-rate price. 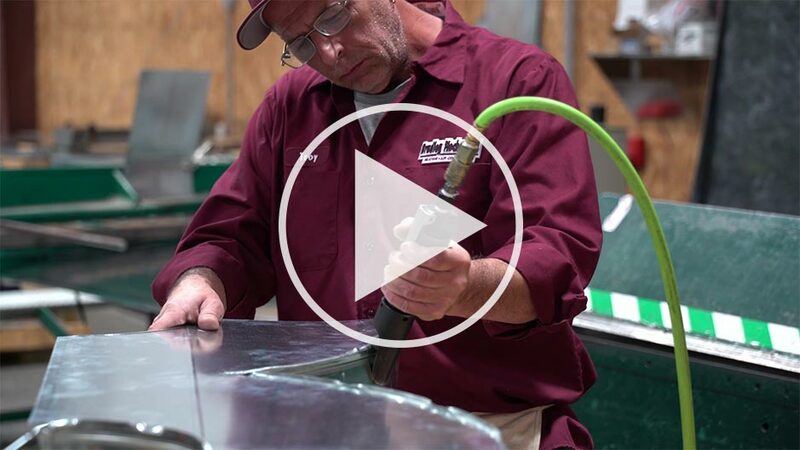 When we give you a quote on the service, you’ll know exactly how much the repair will cost – even if the repair takes longer than you expected. Earning your trust is worth much more to us than a few extra dollars. Repair your system. We get things right the first time, so you don’t need to worry about scheduling return trips. And no “surprise” charges here – what we quote you is what you pay, even if the job takes a little longer. 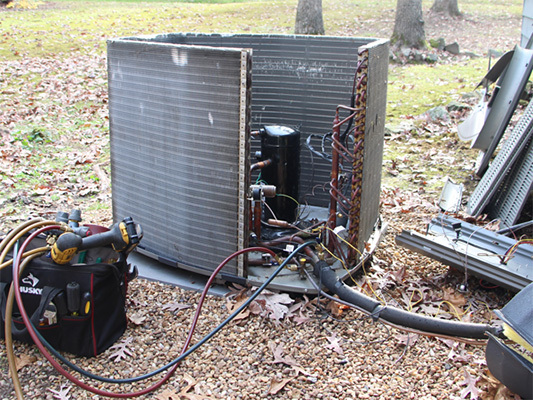 If your AC system has failed or isn’t working as efficiently as it used to, don’t suffer another minute. 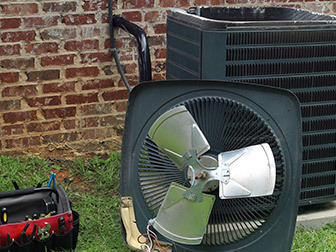 Call Bradley Mechanical for expert AC repair in Richmond, Midlothian, Chesterfield, and beyond. 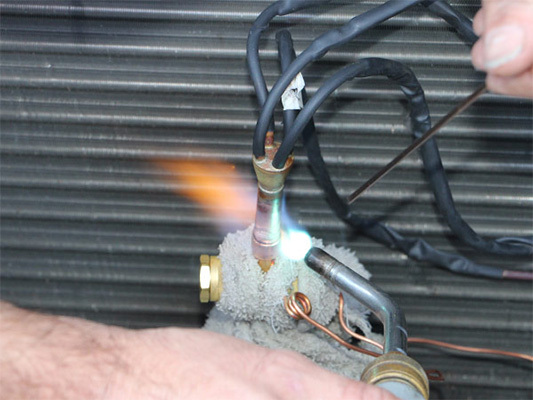 We’ll show you why Richmonders have trusted their air conditioning repairs with us since 1969! Why is my outdoor unit freezing up? 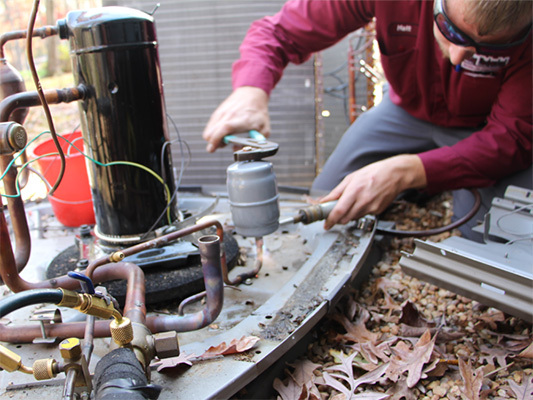 A few major issues could be happening if your outdoor unit is freezing up: your outdoor TXV is be broken, there is a leak in the system, or you’re void of refrigerant. 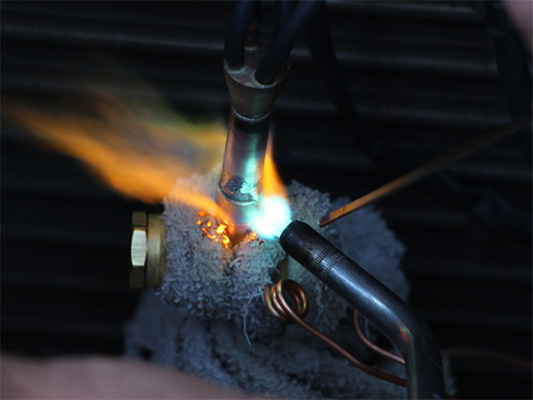 There’s no way to know the exact issue without a proper diagnosis from an expert. 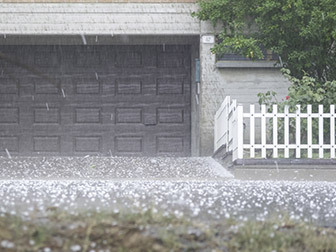 Freezing rain may also impact the function of an outdoor unit even though the system is fine. 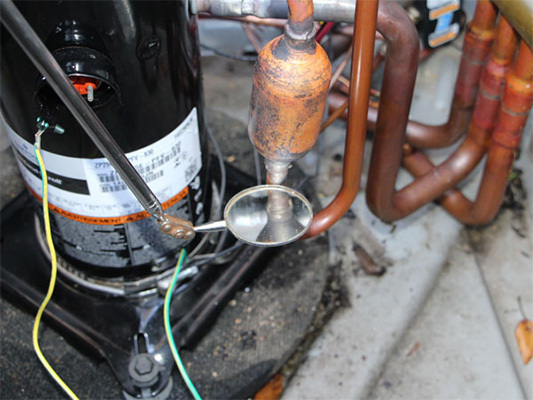 Call us for service and turn off the system if it is freezing up. There is a lot of water coming from the drain. Why is this? When your system is in air conditioning mode it will generate water. This water comes from humidity being pulled from the air inside the home. The leakier and more humid the home, the more water that will be removed from the air and drained to the outside. Do not cover or bury this drain. This will only cause many more issues. My system is not running. What should I do? You can check the breaker to see if it has tripped. If it has tripped, reset it. If the breaker trips again then DO NOT RESET again. Call us for service. I’m having issues with my HVAC system. What should I do? 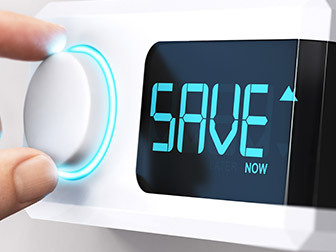 Turn the HVAC system off and switch the fan to “on.” Call us for service immediately after doing so. 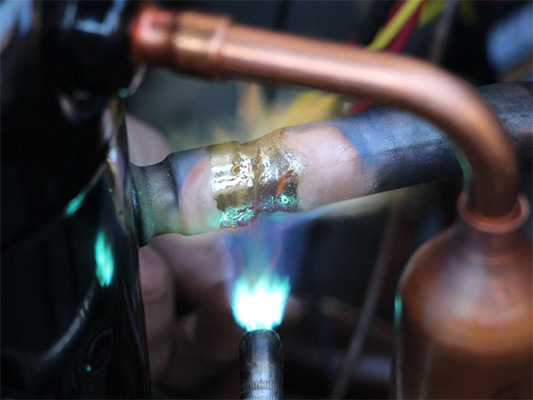 Leaving the system on could prevent us from fixing it when we arrive if you have frozen indoor/outdoor coils. Click an image below to load them in a gallery.